The domaine de la Tour Vieille is the fruit of the union of two old family vineyards. In Collioure, the vines of Vincent Cantié flourish while the vineyard of Christine Campadieu extends to Banyuls sur mer. This grouping, operated in 1982, gives birth to a magnificent domain on a hillside overlooking the sea. On the grounds of the Tour Vieille, the vineyards grow on the terrace. The small dry stone walls of shale and the steep slope make any mechanization impossible. Consequently, all the works of the vineyard are still done by hand, from planting to grubbing through the waist and grape harvest. The domaine La Tour Vieille is renowned for the quality of its wines. In AOC Collioure, we find several wines in white wine, red wine and rosé wine. 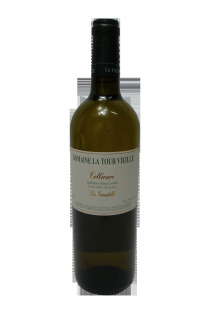 The Collioure Les Canadells is a white wine made from very steep hillsides. It reveals aromas of garrigue and dried fruits. 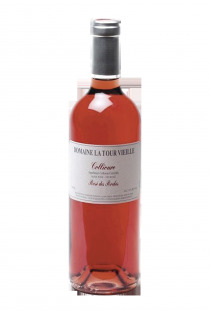 The Collioure Rosé des Roches combines roundness and vivacity, with a beautiful richness. The red wine Collioure La Pinède is flexible enough to appreciate with fish. The Collioure red Puig Oriol must be aerated to release all its power and tannins. 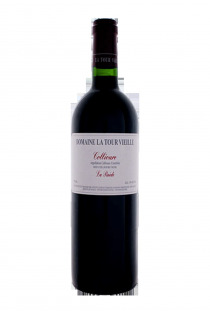 The Collioure Magnum, red with spicy aromas, perfectly accompanies meats. Finally, the red wine Collioure Puig Ambeille is a powerful and structured wine marked by the aromas of ripe fruit. The Banyuls natural sweet wines are the heirs of a long wine-growing tradition in the region of Collioure and Cerbère. These are mutated wines, that is to say that their fermentation has been stopped by the addition of neutral alcohol. The sugars are thus preserved, and the degree of alcohol maintained. The Banyuls are therefore sweet wines, appreciated for dessert or aperitif. 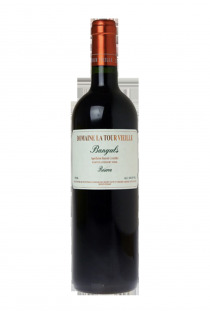 The Banyuls Blanc Doux of the Old Tower displays aromas of white fruits and honey. The Banyuls Rimage Mise Tardive brings notes of red fruits. AOC Banyuls Reserva surprises with its aromas of coffee and mocha. Finally, the Banyuls "Wine of Meditation" is a rare wine; The expression of the history of winegrowers.